The European automakers seem very classy when it comes to the general consumer cars. Whether it is a hatchback, a sedan or an SUV, they bring in a lot of attraction to each one of them. And this is normally what we observe on most of the Peugeot cars. The Peugeot launched the 5008, an MPV in 2009. The vehicle was fresh in design, but mechanically it resembled some of its siblings and cousins. But it was never difficult for 5008 to gain fame in the market based on its structure. It was a spacious family car, with good enough seating and cargo space. Even the exterior designing seemed huge and muscular. Well, Peugeot marketed this car in European, African, Australian, Middle Eastern and Far East Asian markets. And nevertheless, it filled up the Peugeot’s hall of fame with acclaims and awards. Such as the 2010 MPV of the year award. 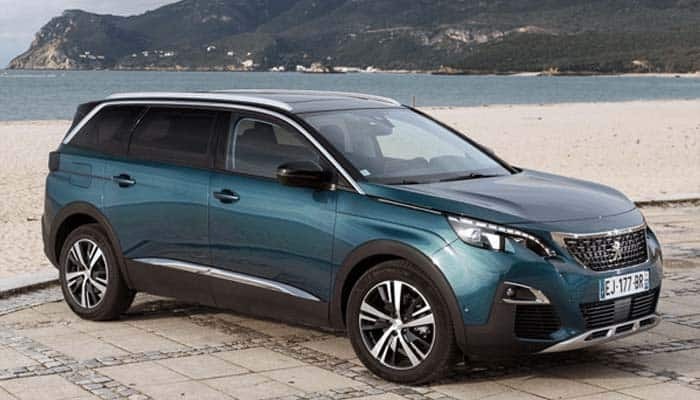 The Peugeot 5008 carried on as an MPV for 7 good years. And in all these years it never let Peugeot down. While in 2016, some strange thought changed the whole plan. 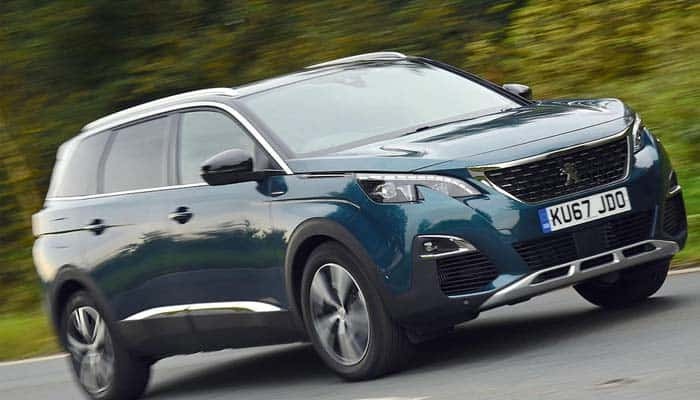 That was the autumn of 2016 when Peugeot introduced the second generation 5008, which was no more an MPV. The second generation was totally different in design, as it just transformed into a crossover SUV. A lot of Peugeot fans admired it. But there were a few that did not like it at all. Well, there are so many reasons for converting an MPV into an SUV. And among them, the one good reason is the changing market trend. People now normally prefer SUVs more than the MPVs, because of their cool styling. Further, the starting price for 5008 is around $33,260 with 5 different model levels. 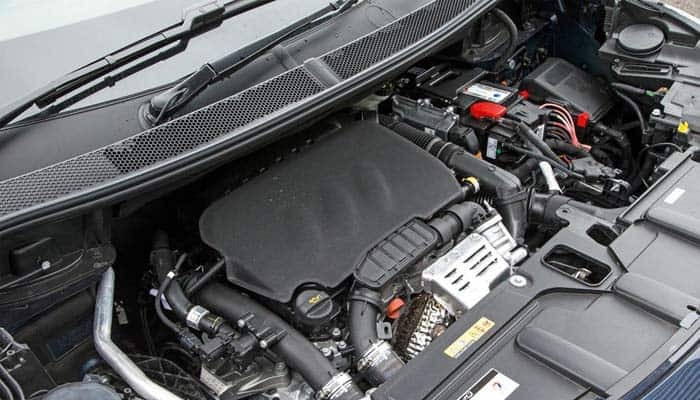 The Peugeot 5008 features 4 different engine levels. Certainly, its model line is mainly differentiated on the basis of the performance. Well, for the gasoline, we get 2 options. The first one is the 1.2 L PureTech 4-cylinder engine with 131 hp of power. This is the fundamental drivetrain that you would normally found on the base models. Further, this drivetrain comes mated with the 6-speed manual transmission. The next gasoline version gets the 1.6 L 4-cylinder THP engine. It is a 165 hp system with a decent flow of torque. In a way, this is the performance variant for this car that is commonly found under the feet of performance lovers. And it even offers plenty of savings on fuel. With this version, you can get around 38 mpg as combined fuel mileage. The diesel version is available in 3 different drivetrains. The first being offered with a 1.5 L 4-cylinder BlueHDI engine. This is a 131 hp system, good enough for the family rides. And it offers an absolute budget saving plan as well. Further, the 6-speed manual is the standard transmission system for this car. While the 8-speed automatic is options. Ahead of that, the CO2 emission is around 109 g/km. The 2.0 L inline-4 BlueHDI is the performance variant of the diesel drivetrain. The powertrain here gets 177 horses, the highest among all the 5008 SUVs. And even it rates a health torque over speedy performance. Well, the Peugeot think-tank responded timely to the changing taste of the people. And instead of moving on with the dying MPV design, the revamped the 5008 into the SUV. The designing is similar to the Peugeot 3008. While the major differences include some cosmetic ingredients and the size of the car. The 5008 is sitting on an extended wheelbase of the 3008. 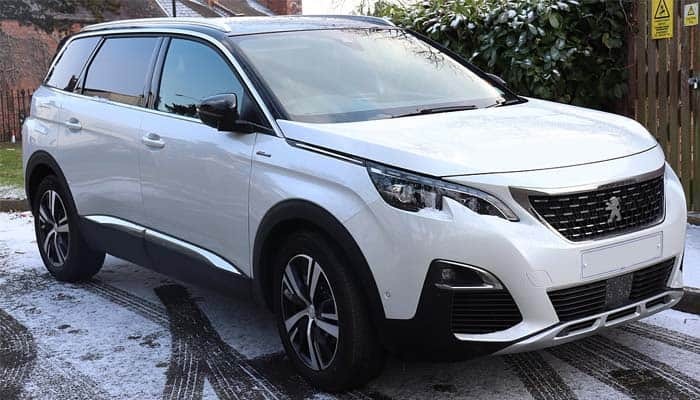 Further, the cosmetics include the 17, 18 and 19-inch wheels, Peugeot signature grille and LED lights similar to those in 3008. The interior is appointed quite neatly in this car. Even it is still spacious as it used to be before. Well, the ingredient includes cloth seats and fiber accent. 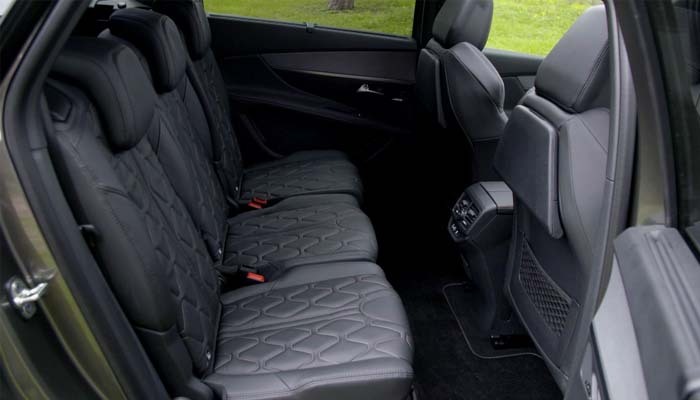 While the upper trim level gets the option for the sporty leather seats, panoramic sunroof and multi-color options. Well, the Peugeot has played smartly while improvising the design. They knew what their fans want and they stuck with the same trick that they utilized initially. The seating space is good enough for 5 people including a driver. And the boot has plenty of space for you to carry your groceries. The base models for the Peugeot 5008 only include the audio system with the USB ports and the radio options. 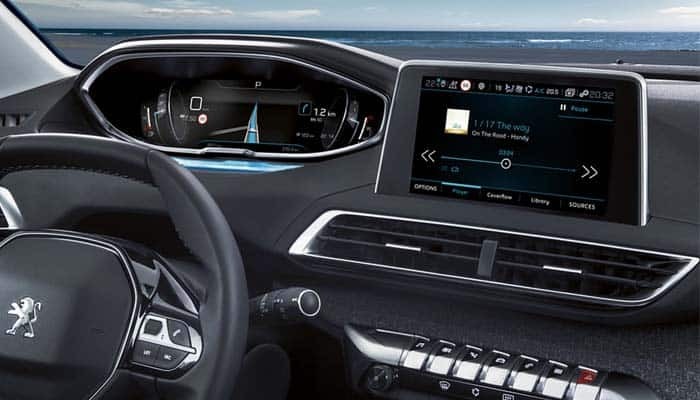 While the middle and the top-notch feature the 8-inch touchscreen infotainment system. This system offers the multimedia options, telephony, smartphone connectivity and the optional navigation. Actually, the top models feature the Peugeot i-Cockpit that gets an infotainment system and a 12.3-inch driver’s cluster display. Further, the entertainment sections basically include a standard package with nominal features. While the upgraded version comes with a premium Hi-Fi system. The Peugeot 5008 gets almost everything that is required under a perfect safety manual. The passive safety features are good enough to keep the occupants safe. The airbags are fine, and their number is sufficient. While the seatbelts are adjustable at different measures. While other safety features include the antilock braking system, adaptive cruise control, traction, and stability control. In addition to that, it includes the parking sensors and some other handy drive dynamic features. 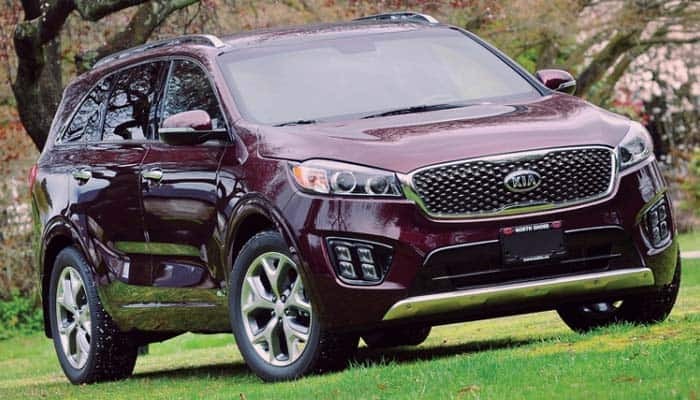 The Sorento’s variant drivetrain option offers a lot of versatility to the drivers. It is one good competitor for 5008 that you would find in the prevailing markets. Well, they both are neatly designed and offer a wonderful ride. The 5008 has a bold impression on the market. Its spacious interior, remarkable powering options, and eloquent exterior design bring it to the best rank in the market.